Posted in myEnglish, Uncategorized on December 7, 2016 by English Language Services. Why do some students do better than the others on online courses? Most adult language learners lead a very busy life. It’s a struggle to find a work-life balance. Add to that the workload of an English course and you may suddenly feel overwhelmed! We spoke to three highly successful myEnglish students, who gave us tips on tackling online study. 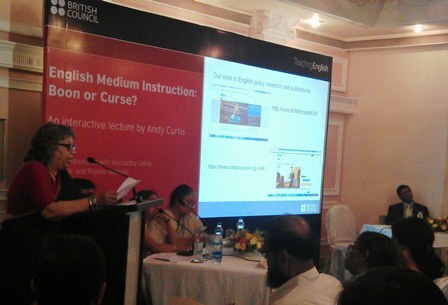 Ishrat Pirani is a student in Mumbai and myEnglish was her first experience of online learning. Sayed Faiz is an IT professional. He’s an online learning pro, having done multiple myEnglish courses. Pranav Ingle works in the education sector. 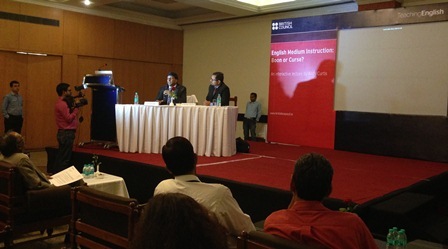 He learnt about the myEnglish course from his boss, who recommended it to him. Keep your goals in mind. Remind yourself why you’ve enrolled for the course. Your improvement and investment in the course can be your key motivators. This helps keep you focused. Do a little, but often. Don’t try to do all your coursework at one go. Log in whenever you have a few minutes to spare. This will make the workload more manageable. Keep the task in mind. myEnglish discussion forums and assignments give you the chance to use the language you’ve learnt each week while communicating with others. So try to make sure you’re using the target language. Look carefully at the task assigned to you and focus on answering the question closely. Organize. Keep notes of your coursework. You can use a word processing program like MS Word to organise any new language learnt. This will make writing revision less time consuming. Do make use of teacher feedback on your forum posts. You can ask your teacher any language question on the Language Help forum. Keep a list of questions you’d like to ask and post them once or twice a week. Remember to read your teacher’s response to each post. Take note of this feedback and as the weeks go by, you will find it easier to participate in discussions and make fewer errors. Improve your speaking skills by attending every Live Online Class. This is a wonderful platform to practice speaking and the language you have learnt on the course. Your teacher will also help you correct your mistakes. Regular and active participation in online classes will boost your confidence in speaking English. Enjoy learning. Remember to have fun while learning. myEnglish allows you to participate in plenty of interesting discussions about real life topics and situations. Focus on topics that interest you. And remember to give yourself an occasional reward, like taking a short break from coursework or having a chocolate after completing an assignment. This will keep you motivated and the course will not feel like a chore. 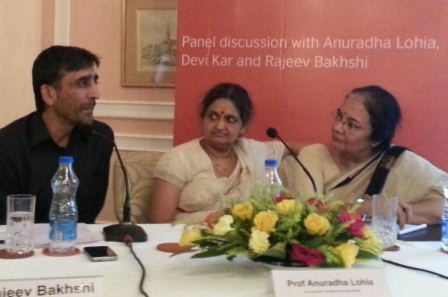 Posted in Uncategorized on June 10, 2016 by British Council India. 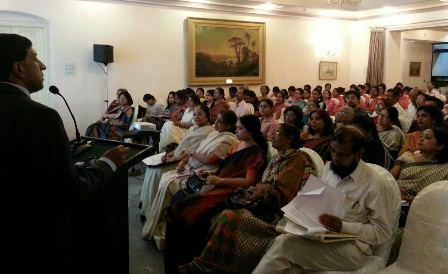 In March 2016 British Council signed a tri partite contract with the Government of Maharashtra and Tata Trust to launch an innovative teacher training project, English Language Initiative for Primary Schools – 2 (ELIPS 2) for primary school teachers in Maharashtra, India. 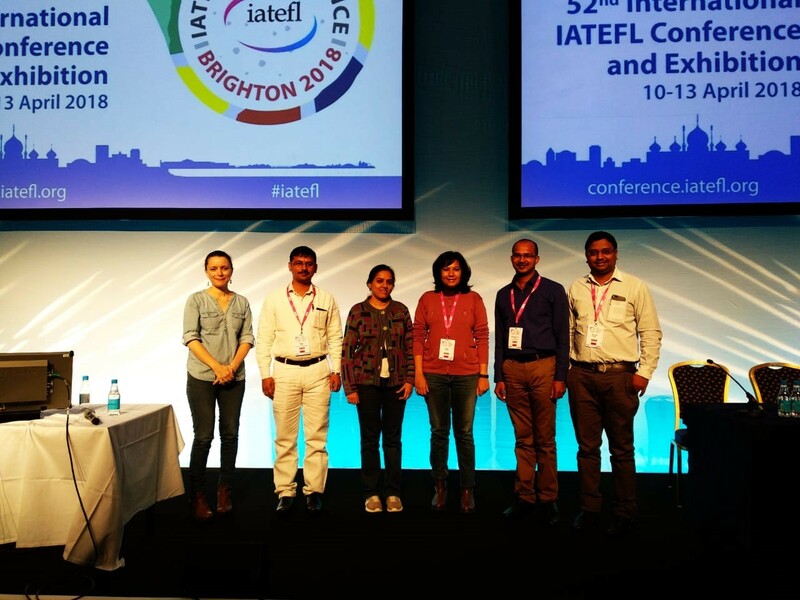 ELIPS 2 represents a transition from more traditional model of teacher training to a more sustainable internally-supported approach which promotes holistic professional development through local communities of practice. ELIPS2 will focus on primary teachers in government schools in Maharashtra and will take place over three years. In the first year, the project will cover nine districts in Maharashtra and in the second year the project will be scaled up to include the rest of the state. Following discussions with the government, it was agreed that the project would include initiatives for capacity building of the State Institute of English (SIE), establishment of Teacher Activity Groups (TAGs) at cluster level for the nine districts and exploring the potential of online training programmes and social networking applications including WhatsApp to support teacher training and mentoring. Building the capacity of the SIE through the development of a core team of English experts is central to this intervention and its sustainability. In addition, a teacher training and development model focussing on building the capacity of the state to provide appropriate Continuing Professional Development (CPD) opportunities for teachers will be developed. This will be achieved through a combination of face-to-face training, online learning through e-moderated and self-access courses, Teacher Activity Groups (TAGs) at the cluster level, the creation of online communities through popular social networking platforms and a teacher mentoring programme. All of these elements of the project aim to put the teacher at the centre of his/her own development. 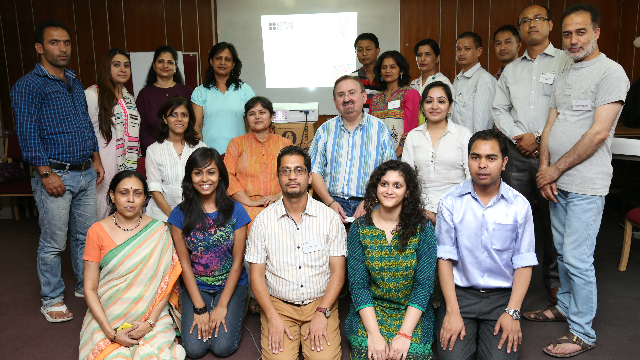 Master Trainers, and later selected Teacher Facilitators, will be supported with British Council resources to facilitate TAGs. Existing Kendra Pramukhs (KPs) will be responsible for administrative aspects of these groups. The project will therefore build the state’s institutional capacity to support and implement large-scale, long-term in-service teacher training programmes which do not rely solely on cascade training as the medium of delivery. 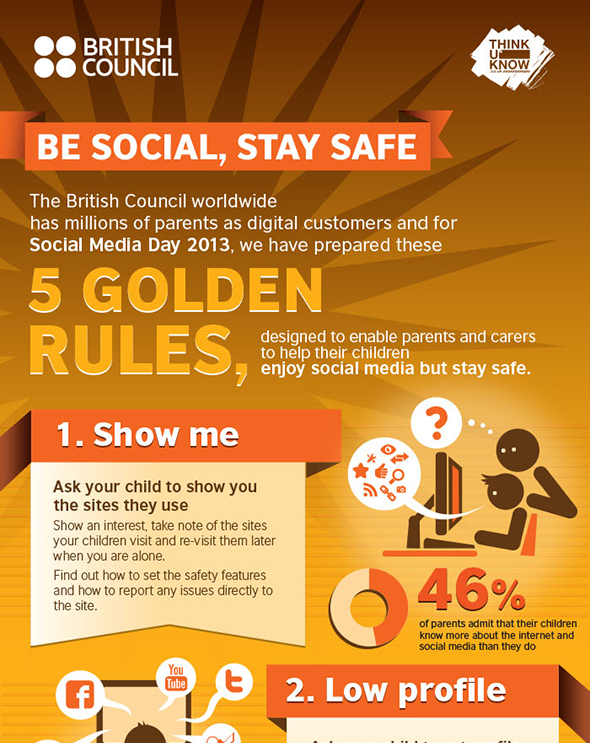 Posted in Uncategorized on July 1, 2013 by British Council India. 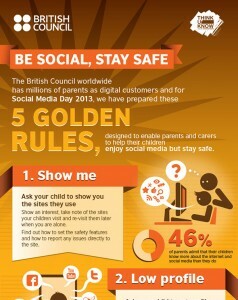 The British Council is marking Social Media Day 2013 with a set of five golden rules to help parents and carers keep their children safe on social media. 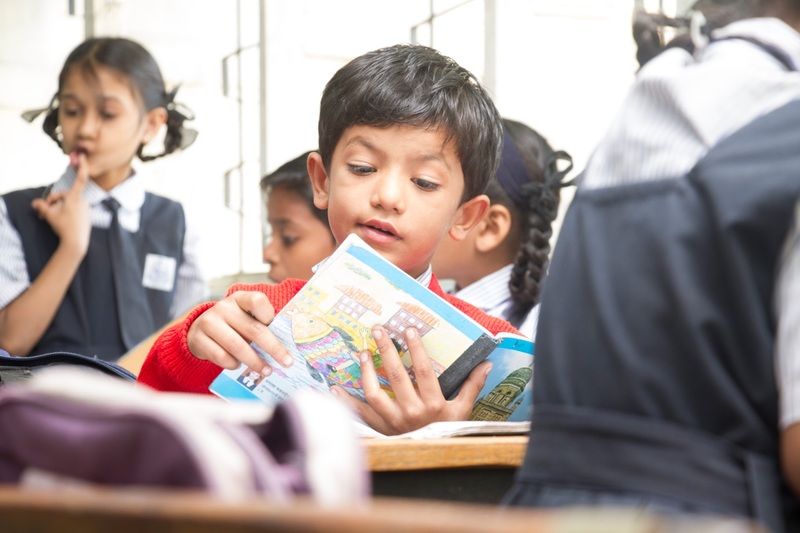 Every year the British Council engages directly with up to two million children globally, and seven million indirectly through teaching, exams, programmes, and projects. The organisation is committed to keeping children safe and protecting them from all forms of harm and abuse.